This photo taken on July 2018 and released by Xu Xiaoli on Wednesday, Nov. 28, 2018, shows Lu Guang in New York. The award-winning Chinese photographer was taken away by state security agents more than three weeks ago during a trip to the country's far west, according to Xu. 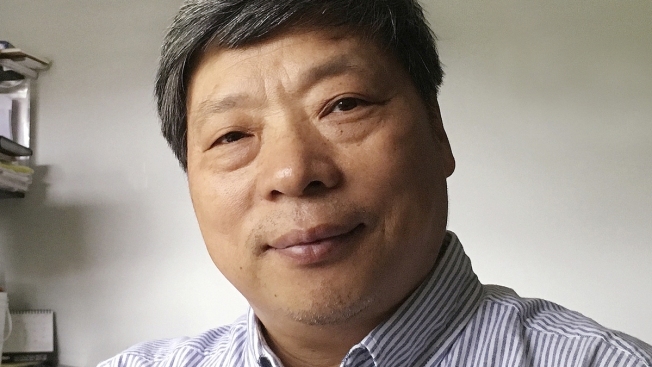 Lu Guang, a photographer who won a 2004 World Press Photo Award for exposing "AIDS villages" in Henan province, China, has vanished in the country, NBC News reported. Lu, who has a U.S. green card, was meeting with other photographers in the capital of China's remote Xinjiang province when he was last heard from on Nov. 3, according to his wife, Xu Xiaoli. "The authorities haven't informed me of his whereabouts," she said in a phone interview from New York, adding that she was told by the wife of the photographer who invited Lu that state security took both into custody. Lu's work has featured subjects Beijing may consider "sensitive," like pollution, AIDS patients and drug addicts. Foreign journalists in Xinjiang, where a network of detention centers houses masses of Chinese Muslims disappeared for "re-education," have routinely been detained or monitored by security agents.